Virtual reality can do wonders when you use it in real estate apps. In fact, a lot of real estate companies are realizing the potential of virtual reality and are using it as much as possible. Virtual reality makes the experience of checking out houses more engaging. Rather than showing only photos and videos of houses for sale or rent, virtual reality can give users the complete tour. They can check every nook and cranny of the house. As a result of this, it will be easier to make sales with real estate apps. Put yourself in the shoes of the consumer. Wouldn’t it be better if you can take a tour of a house you are interested in within the comfort of your home? E-commerce apps is another area where virtual reality can work its magic to improve sales. Virtual reality can be used to make the whole shopping experience rich and engaging. It will allow consumers to take a closer look at the products. Virtual reality also gives space for developers to show all the information about the product within a single screen. E-bay is one of the first e-commerce platforms that adapted virtual reality. On their virtual reality platform, consumers can go through a myriad of products just by using their eyes. All the important details such as price, specifications, delivery charges, similar products, and more are visible when the consumer is examining a product. On top of that, it continues to learn about the users so that it can customize the experience according to their preferences. Imagine if you could check out the hotel room you are planning to stay in when you are at home. Wouldn’t that be extremely convenient? Well, virtual reality can do this if you are building a travel-based app. Rather than showing customers the room in different angles, virtual reality allows to them to take a tour of the place. They can inspect the room, bathroom, and the view before booking the place. Virtual reality is also useful when consumers don’t know which place to visit for their next vacation. You can give them a virtual tour of the Eiffel tower or any other popular tourist hotspot. If your travel-based app is providing packages for various cities, virtual reality can give them a sneak peek of what you have to offer. It is a known fact that students learn at a faster rate when the teaching experience is more engaging. Virtual reality can give them a better perspective of what they are learning. For example, if students have to learn the functioning of a car engine, virtual reality can show them how every part moves. At the same time, descriptions about various parts can be displayed while the students are going through engine in virtual reality. Virtual reality can be used to give students first-hand experience in learning about the human biology, vegetation, and wild animals to name a few. Last but not the least, automotive apps have a lot to gain from virtual reality. Companies such as Audi, Volvo and Ford are using VR to improve sales. Virtual reality allows consumers to check out various car models. They can take a look at the interiors of the car and how it will look with different colors. Also, they can customize the car according to their needs and see how the changes will impact the aesthetics of the car. 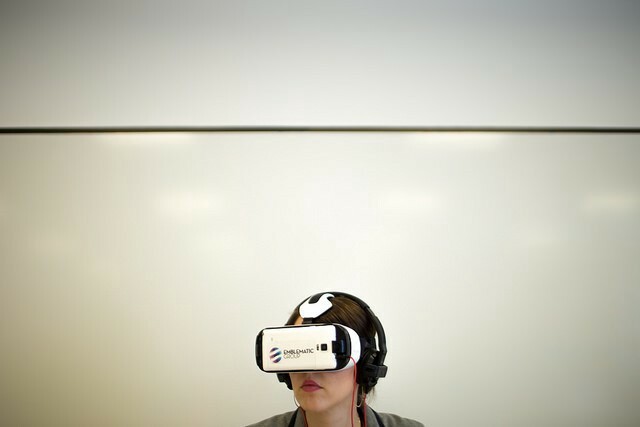 As you can see, virtual reality has a lot of uses in mobile app development. If it is used appropriately, it can boost the sales significantly. It also keeps the users engaged, unlike traditional mobile apps. If you are finding it challenging to implement virtual reality in your mobile app, why don’t you contact Robust Tech House? We have expert developers who have an immense amount of experience and certifications in the field of virtual reality. Give us a call or drop a message today so that we can help you build a mobile app with virtual reality according to your requirements! Originally published at RobustTechHouse — Mobile App Development Singapore.